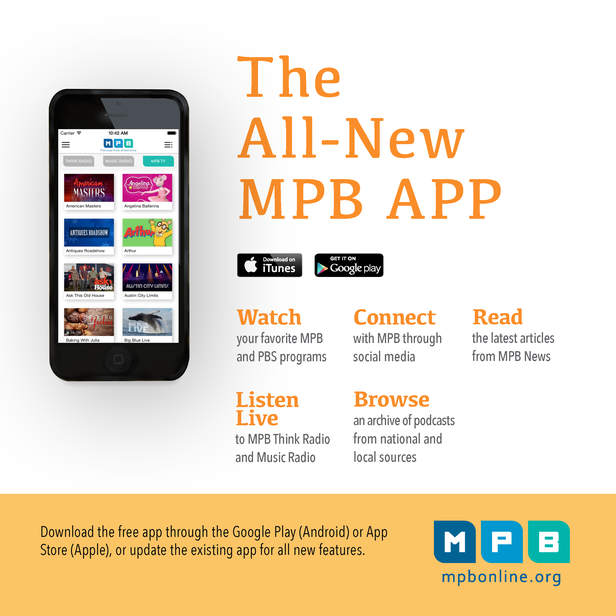 Get MPB anywhere with the new MPB Public Media App. Listen to stream of MPB Music Radio and MPB Think Radio, watch the latest episodes of your favorite local programs, or catch up with MASTERPIECE and NOVA from PBS. Set bookmarks so you never miss a favorite show, then spend some time reading the latest from MPB News. The MPB Public Media App brings everything you love about MPB into one place - all for free. The app is available now on the App Store and Google Play Store.